This week we are digging deep within The Paranormies vault to blow the dust off of a piece of history. 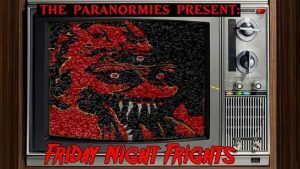 To kick off the new year, the Friday Night Frights crew has uncovered and polished the follow up to our Pilot episode! For this outing Zev, Tyler, and Patrick discuss the horrors, and most importantly, bodies that had been previously lost to the sea in 2002’s Ghost Ship. The team also tackles John Carpenter’s 1980s Classic, The Fog, and the lackluster remake that followed 25 years later. Finally, Mr. Zev leaves the audience with some spooky costal ghost stories. Thanks for tuning in to the spoop show!